I was propped up in bed, reading my Bible and enjoying a hot cup of coffee. He walked around and kissed me goodbye, as he headed out to work. One minute later, the door opened and he came back in looking for something. “Can’t find my shoes,” he said, as he bent over and searched the floor. “Oh, here they are –right under this pile of clothes I left on the floor.” His face showed he felt shame for not picking up after himself. “That’s okay. That’s why you have a wife –to make your piles magically disappear,” I said. Wait. Pick Up After Him? Let me break this down for you, in case you’re wondering how a woman possibly could be happy picking up her husband’s clothes when we all know he’s perfectly capable of doing that for himself. “Let him do it himself,” you might shout at me. We were made to help our guy, and I find that the more I wake up in the morning and ask the question, “How can I help him today?” the happier I become. I’m happy to do what God designed me to do. Happy to do work that I know is pleasing to the Lord. Happy to make Matt’s life easier in big ways and small ways. So, I pick up his clothes and return them clean and folded to drawers. I also bring him coffee in bed every morning, fluff his pillow, and kiss him tenderly on the forehead. I take his truck to get the oil changed and clean his office at work occasionally. Just helpin’ out however I can. And can I just stop you before you begin with the “but what about him” statements? Not talkin’ about him. I’m talking about me and my happiness. ME doing what God has made me to do. ME being obedient to the Lord, as I serve my husband in joy and humility. ME doing what is good and right. ME taking actions that lead to my own satisfaction and happiness. Curse me if you want, but I’m not budging on this one. 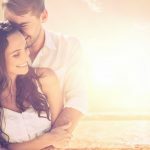 Do you want to be happy in your marriage? Start by helping your husband as much as you can. Anticipate his needs. Do stuff for him –not because he can’t do those things for himself but because you are choosing to serve him. Get in a habit of helping (with a good attitude! ), and see if it doesn’t have a positive effect on your own heart. What can you do for your man today? Wow! Thank you! Thankfully I am naturally a helper to my wonderful husband-unfortunately I dislike cooking with a passion. This was a very kind reminder that cooking with love and joy is another way to serve the man God has blessed me with. Thank you, thank you, thank you! I love this! My husband has made the same comments to me! When I find myself starting to grumble inside about it, I remind myself that I am blessed to have a husband to serve!! Fantastic post! Amen! My happiness has improved since I decided to be what God created me to be, a helpmate. I love this! It’s such a paradox, but so true – the more we serve, the happier we’ll be. I appreciate this post so much! I am recovering from the attitude of “he needs to pick up his own clothes/stuff/mess.” A few years ago I started working part-time. My husband always complains how he never has enough time. I finally saw his perspective and realized he’s right. He works more than me. Now I stay at home and we have 3 kids. I’d much rather him spend time with them than putting his clothes away! And you’re right, I actually feel pretty good about it. I at least appreciate how much nicer the room looks! I love this so much, Thank You!!! Amen Christie. So nice to know I’m not the only one not getting on the feminism band wagon. I remember our Pastor saying that God asks us to place Him first, and our spouse second before all others -ourselves and children included. Rarely do we see this in society. Thank you for your uplifting words. I love this platform (Club31). I also want to share that the use of the word Feminism in this post sends a message that is incongruent with its meaning for me. Feminism is the social, economic and political equality of men and women. I like to think that Jesus was a feminist because he loves women and men equally and has things to say to men about serving their wives dutifully, just as women should do the same. So my meaning here is, you can be a feminist AND serve your husband. I love your beautiful definition! But I was thinking more of the culturally prevalent idea of feminism. In particular, I was recently exposed to a song by Jennifer Lopez, entitled “I Ain’t Your Mama,” in which she calls her man a “boy” and says she isn’t going to be doing his laundry and cooking for him anymore. That’s the attitude of fighting against. I absolutely love doing things for my husband! I seriously enjoy serving him. I do get annoyed at how he just disrobes and leaves it where he stands. But seriously, after I curse a bit I still pick it up for him and gladdly too. I tell him i love to serve him and he is always surprised but it makes him feel so loved. You know, sometimes I get annoyed, too. It’s good to admit that we have those feelings. But I’m practicing leaving that annoyance behind. Thanks for your honesty! Deciding to serve doesn’t mean that all of a sudden you feel like a saint on the inside, but it is worth working past the annoyance and serving ANYWAY. Thank you for being honest! Deciding to serve doesn’t mean we never feel annoyed, but I love that you push past that and serve your man anyway. You set us a good example. Can I just say what a kindness it is for you to use the word “fabulous”? Thank you for that encouragement. 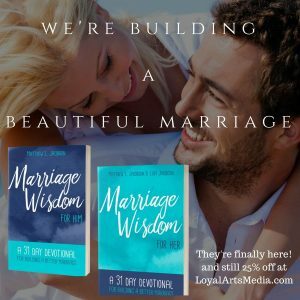 God’s truth sets us free, and we wives find freedom in a marriage done His way. Thank you, Christy, for this excellent post! Wow! Thank you for this timely word. I find myself struggling between serving my husband lovingly and the “he can do it himself” attitude. I have alway “spoiled” my husband (He would confirm that), but much of the time very little is reciprocated. I get discouraged from time to time. Thank you for the reminder that it isn’t about him at all. It’s all about me and my attitude. Serving the Lord through serving my husband because I choose to not because I have to. It’s dangerous if we start serving only for what’s reciprocated fairly in return. That skews our motivation to be serving to get something for ourselves. But helping our husbands to fulfill God’s design for our lives and out of our love for Christ changes everything. It means we can be who God made us to be regardless of how our husbands act toward us. That’s good news! This is so true. There is no place for selfishness in a relationship. Giving all we can will only make us happier. Life isn’t all about me… Thanks for this reminder!